Avian influenza is a viral asteroid on a collision course with humanity. In 1918 a pandemic strain of influenza killed at least 40 million people in three months. Now, leading researchers believe, another world catastrophe is imminent. A virus of astonishing lethality, known as H5N1, has become entrenched in the poultry and wild bird populations of East Asia. It kills two out of three people it infects. The World Health Organisation warns that it is on the verge of mutating into a super-contagious pandemic form that could visit several billion homes within two years. 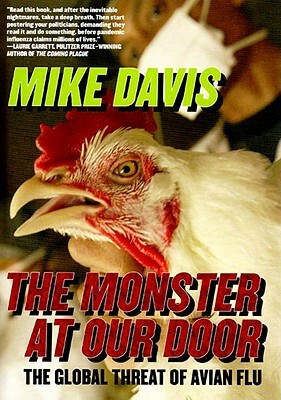 In this urgent and extraordinarily frightening book, Mike Davis reconstructs the scientific and political history of a viral apocalypse-in-the-making, exposing the central roles of agribusiness and the fast-food industries, abetted by corrupt governments, in creating the ecological conditions for the emergence of this new plague. He also details the scandalous failure of the Bush administration, obsessed with hypothetical bio-terrorism, to safeguard Americans from the greatest biological threat since HIV/AIDS. sacrificed the poor in Africa and South Asia, for whom, in the almost certain event of a pandemic, there will be no anti-virals or vaccines.